Recently, Donald Trump pardoned Jack Johnson, the first black-American World Heavyweight Champion. Johnson’s story is instructive, just as Obama’s refusal, not neglect, but refusal, to pardon him was. 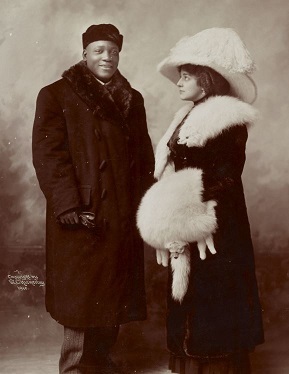 Jack Johnson was not only the first black champion, but a long-reigning champion, causing the coinage of the term “Great White Hope” for all the ex-champions and aspiring-champions who would line up to dethrone him. They would all fail. Finally, the court system got Johnson, not boxers, for you see, Jack Johnson was no ordinary, humble, thanking “de Lawd” for the opportunity to be champion sort of man. He grew up in Galveston in the late 1800s, and it’s as if Jim Crow and the KKK had overlooked the town. The working class neighborhoods were remarkably desegregated, unlike Richmond, where white and black kids were constantly going at it. Jack Johnson’s best friends were all white kids, which involved shared suppers and the occasional sleepover. Large parts of Galveston seems to have slipped through the Democrats’ seine net, which explains why white-black harmony, or why Lester Motley could sleep over at my house in the early 50s in the east Kentucky coal fields are stories modern social scientists don’t want to hear about, much less study. So when Jack won the championship, he became an instant millionaire by today’s standards. And acted like one, traveling around in a chauffer-driven touring car. And usually in the company of beautiful women…all of them white. Married three of them in fact. And like ex-New York AG, Eric Schneiderman, he even had a taste for the store-bought variety. After all, he was a very handsome man and a fine physical specimen. With no white hope able to dethrone Johnson, imagine how the Democrat Party of the day would seethe at his public displays. Or for that matter, how it would seethe today that a black man would go out make something of himself without their endorsement or sponsorship. Ask Clarence Thomas, Dr Thomas Sowell, Dr Ben Carson, Herman Cain, all who made it without having to be indebted to the political class. So instead they framed Jack Johnson on a bum wrap, the Mann Act, which was enacted to prevent carrying women across state lines for “immoral purposes”. The law was designed to bust up prostitution rings, not married people who happened to be the wrong color. In the end, unable to convince his ex-wife to testify, they had to fall back on a woman with whom he had traveled before the Mann Act was enacted. A fake trial but real conviction, Johnson got 12 months, spending 10 months at Leavenworth, after which he continued to fight, only out of the country. Clarence Page of the Chicago Tribune tells us how Johnson’s pardon ended up on Barack Obama’s desk, as well as GW Bush’s, and how both used “procedures”, i.e, a DOJ review, to not have to act on the request. About Bush, I can only speculate if there was a political reason, but Eric Holder gave Obama’s game away when he said that while the injustice done to Johnson was clear, the countervailing argument against a pardon because of his general treatment of women mitigated against the pardon. Bottom line, Obama acted on politics first, self-serving politics and the fear of angering the Feminist wing of the Democrat alliance and justice took a backseat. …thus defining a fundamental difference between the two men, in fact, several of Trump’s predecessors. A true empathy it seems exists in the man, and not the phony, forked-tongued sweet talk of 95% of the political class in America. Trump does not pass Go, or collect $200, but goes directly to Justice when he sees any American citizen unfairly convicted or locked up. He simply turns to someone and says “Go do this” and so far they have caused the return of two Korean-Ameri9can citizens from a prison in the North, an American citizen in Venezuela. And I am sure he has others in the wind that have not yet publically materialized. 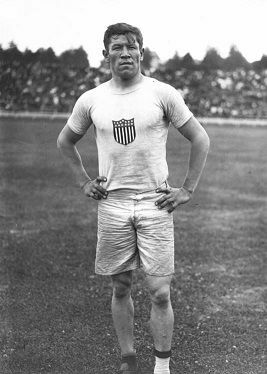 So I wish he would appoint one of his people to find an inroad with the International Olympic Committee (IOC) and obtain a full restoration of the medals and records set by Jim Thorpe from the 1912 Olympics.